Rosemary Knits: Felted, Fibery, Fun. Look what I found while cleaning out my junk-basket! My cell phone case! I made this in about July of 2005, during a fun afternoon of felting with my children, a close friend, and her children. Have you ever wet-felted? Your hands have never been this clean before! It’s great fun, and I just wanted to share these photos. The pink one is my first try. 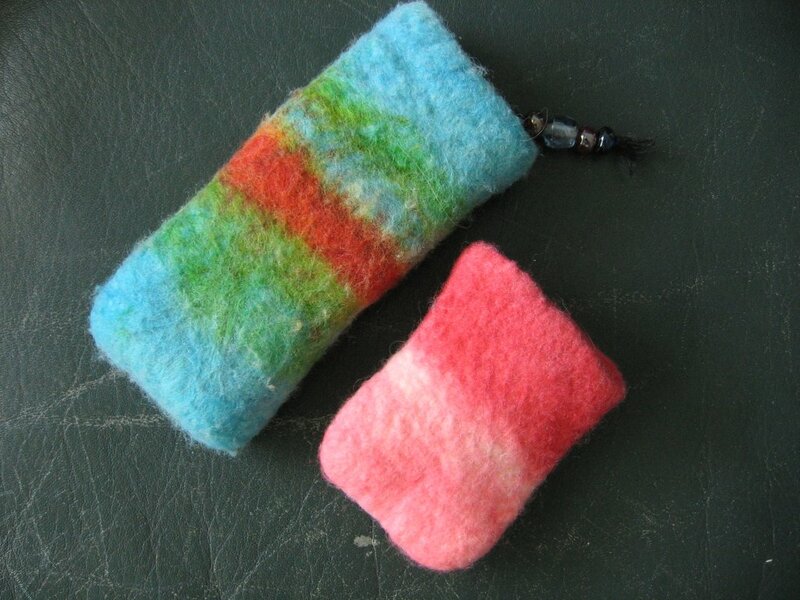 Who knew that felted wool shrinks so very much! Both projects were made with merino roving, and dyed with Koolaid. I used the method outlined in this book, Feltmaking: Fabulous Wearables, Jewelry & Home Accents , which is a great book, by the way, with very easy to follow directions. No, I don't ever use it, as my little cell phone is quite sturdy and doesn't need any protection, so this case turned out to be not-as-handy-as-I-had-hoped, and it's relegated to my junk basket. Still, it was a great project! 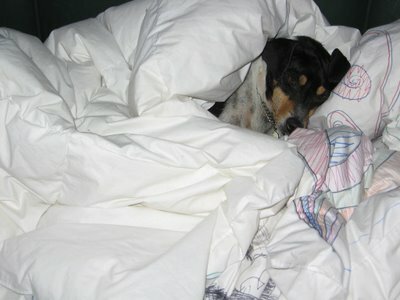 By the way - I am the proud owner of the World's Most Spoiled Dog, and yes, I have proof. See below. Spoiled dog. 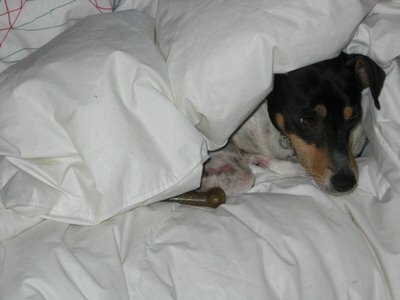 The little brat has his Nylabone in there - what a brat. It was blowing rain and snow most of the day, and this spoiled dog spent the whole time on the sofa, under a down comforter. See? What did I tell you? 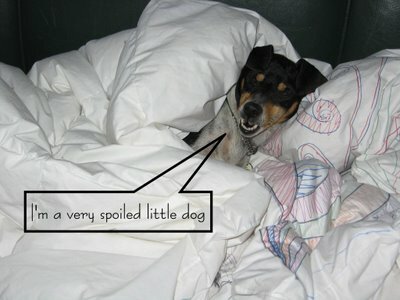 The World's Most Spoiled Dog. 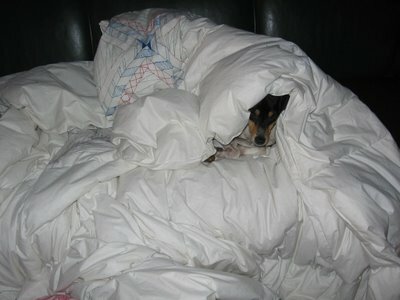 TOOO cute that little spoiled doggie! LOL!! We have spoiled cats here. Love the cell phone cozy. 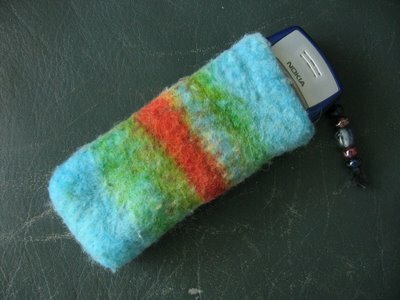 On my project list is a cozy for my iPod. I like how the Koolaid colors look.